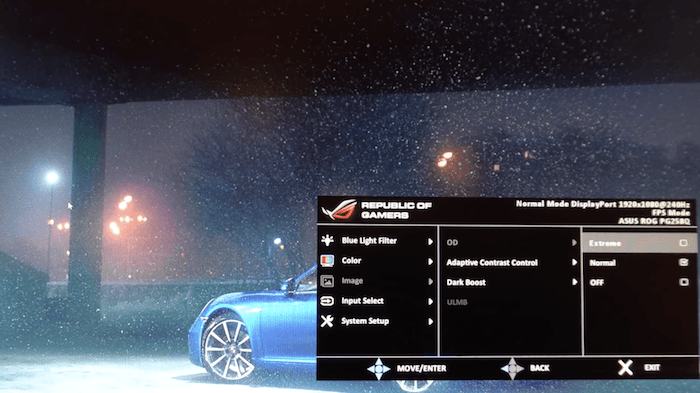 Asus PG258Q Review – Does 240hz Make It The Best Gaming Monitor? Today we will be reviewing the Asus ROG Swift PG258Q gaming monitor and see how it compares to other monitors. Most of all, we want to see if the 240hz refresh rate makes it the best monitor on the market. The 24.5 inch 1920 x 1080 TN LCD monitor provides plenty of screen real estate allowing for a great gaming experience. However, the screen size alone does not get all the credit, we have to also thank the built-in adaptive G-Sync technology by Nvidia which is designed to eliminate tearing and give smooth transitions between frame. 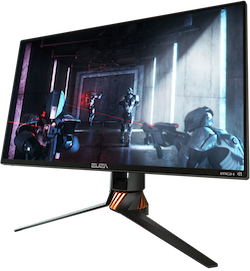 We put the Asus PG258Q to the test to see if the 240hz monitor truly makes it the best on the market. Let’s see how it compared up against 144hz, 120hz and 60hz monitors using Aim Hero as a test ground. Below are the following monitors we put to the test by comparing the differences between aim performance. Our tests showed that the PG258Q is definitely one of the best monitors out there, having said that, the increase in gaming performance was minimal over the “lesser” 120hz and 144hz monitors. So unless you are a true die hard gamer, you may not fully appreciate the differences in performance. Also worth mentioning was some quite surprising results that we found very interesting and think you will too! Check out our video and let us know what you think in the comments below! We found that the Asus comes with default screen settings far from the optimal settings that we felt provided the best gaming experience. Through some testing, these are the settings we found to work best for us.